The Indian Space Research Organisation and the National Aeronautics and Space Administration today signed a historic agreement to send two American scientific instruments, including one which will search for water, on board India’s first mission to the moon — Chandrayaan-1 — in 2008. Would free trade agreements with ASEAN countries have adverse impact on domestic agriculture? With the failure of the Centre and Central Electricity Regulatory Commission to take any stringent action against the Delhi and UP state power utilities allegedly overdrawing power for the past many days, the north power grid is under serious threat of collapsing any time. Many cities and rural areas in the state remained without power since last night when all units of thermal plant, here became non-functional due to a fault in transmission lines caused by rain and storm. Defence Minister Pranab Mukherjee today rejected the demand for the demilitarisation of Jammu and Kashmir and said that the "numerical presence" of security forces could not be reduced in the state because of the continuing incidents of terrorist violence. CHANDIGARH: Students:1,000, rooms: 5, Principal: none! A top militant of the Harkat-ul-Jehadi Islamia and one of the main brains behind the twin blasts that rocked Varanasi recently was shot dead in a gunbattle in the Handwara area today. 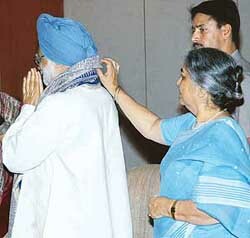 The UPA government will shrink the list of posts that fall under the office of profit category by amending the Prevention of Disqualification Act, 1959. In a major victory for Chandigarh girl Sunita Dogra and many other aspiring UPSC candidates like her, who are suffering from the upper-arm disability, the Chief Commissioner of Persons with Disability has asked the UPSC to allow Sunita and all other cases with similar disability “scribes of their choice as per norms” for the May 14 Civil Services Examination (preliminary). 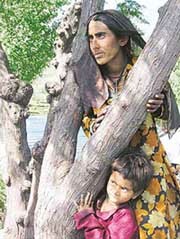 30-year-old mother of four who now lives more by the side of a Chinar than under a roof.